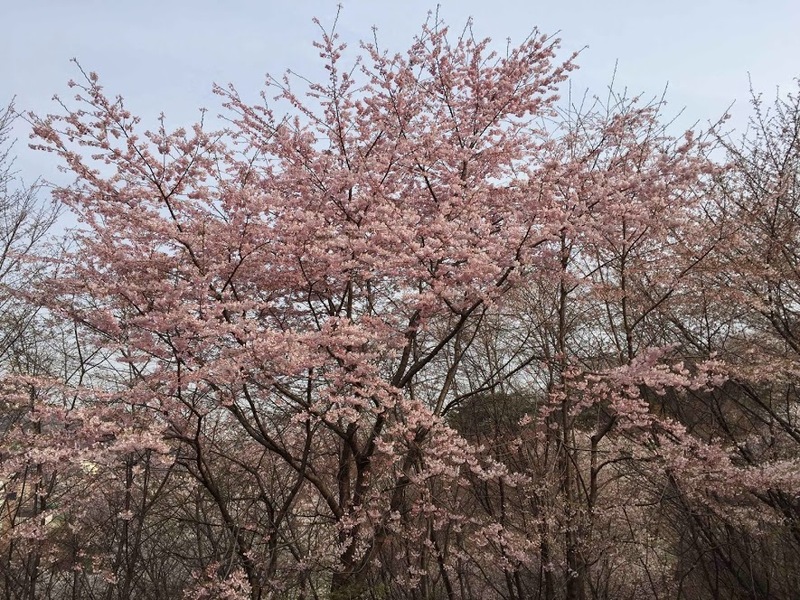 Cherry blossom season comes to Seoul every spring, typically in the early weeks of April. It is always a mad dash of people trying to find the best spot for cherry blossom watching. Perhaps the best spot, yet unheralded, is Ansan in northwest Seoul. Trying to find the best Cherry Blossom spot can be a bit of a headache. Having to jostle with so many other people all wanting to see the same things is annoying. It saps the joy out of enjoying the splendor of the trees. Fortunately, the ever-present but inconspicuous Ansan is there for the save. 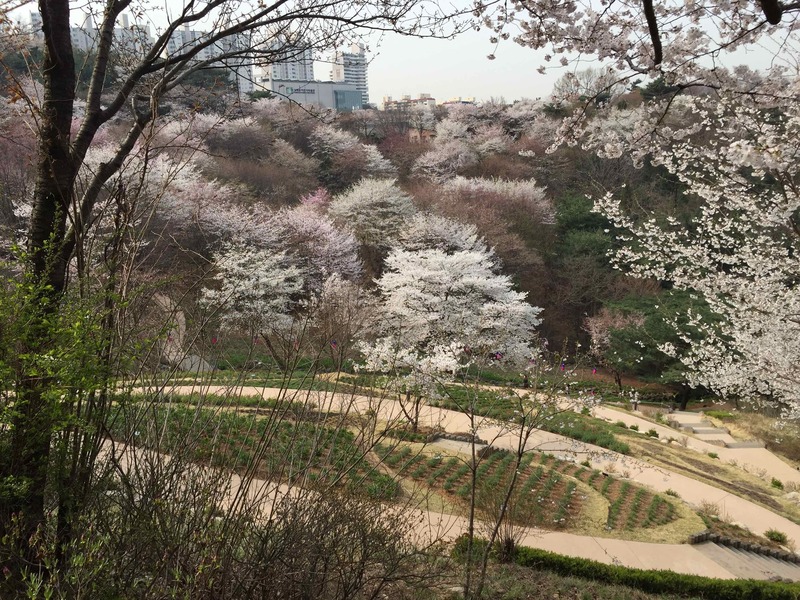 There is no doubt that Yeouido and Namsan are great places to see the cherry blossoms. 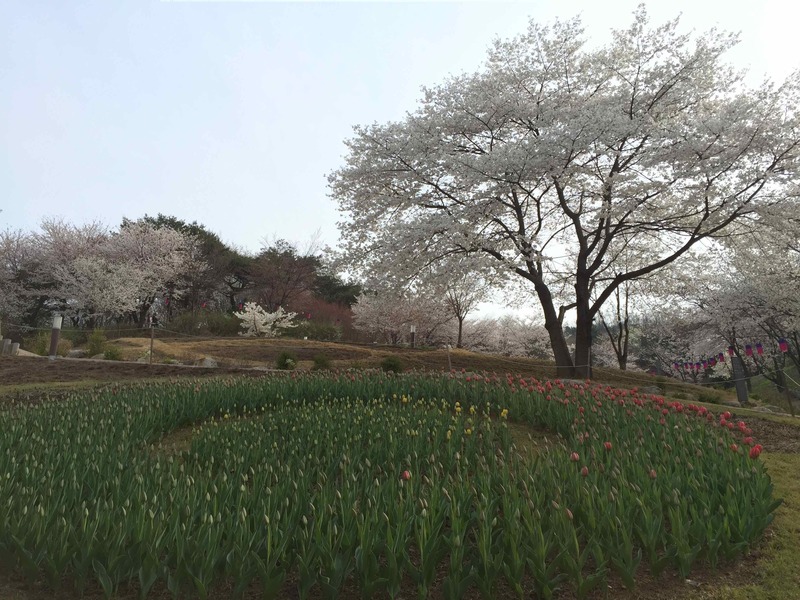 However, if you truly want an experience, and not just a view, then make haste for Ansan. 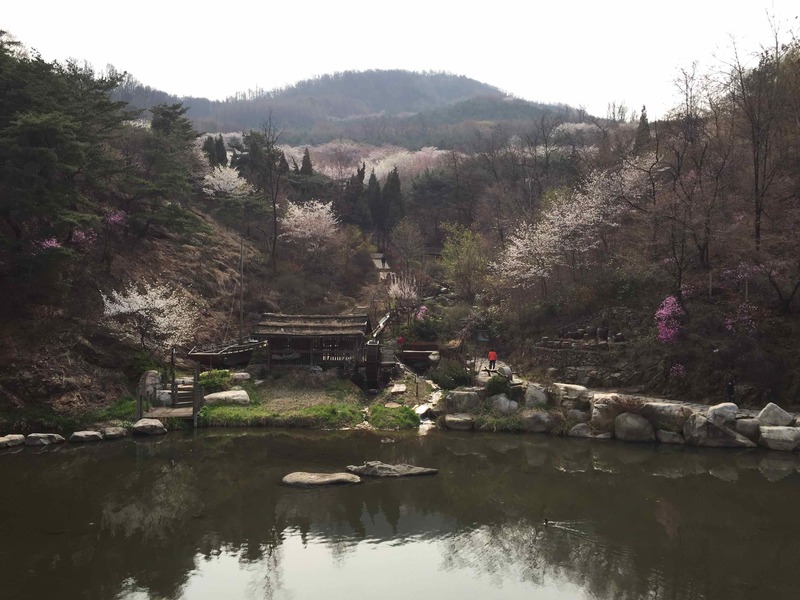 The primary spot to see the cherry blossoms on Ansan is just above the waterfall that empties into the Hongje Stream, or Hongjecheon. Follow the path that leads behind the watermill and prepare to be amazed. The first thing you will come to while walking up the pathway is a picturesque bridge spanning a small cascading brook. Feel free to take pictures of the bridge, but don't cross it. Continue straight. And up. Soon enough you will see the herb garden. there are a number of flower gardens here that are meticulously kept. 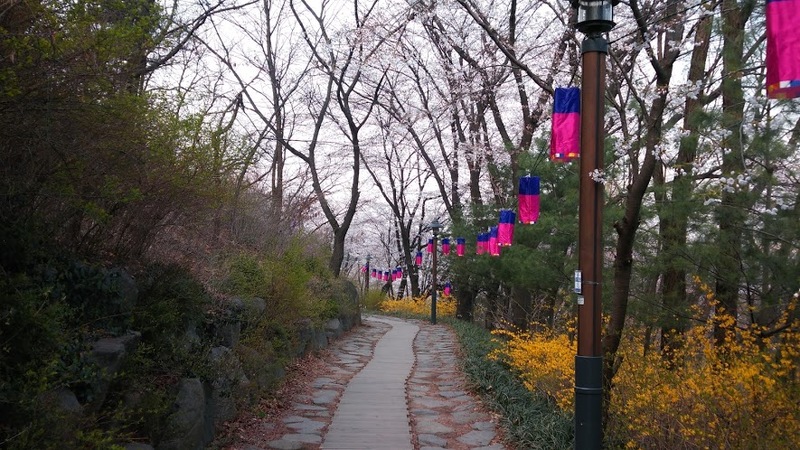 This is one of the most peaceful spots in all of Seoul. Although undoubtedly still in the middle of a metropolis, there is barely a hint of big-city life to be seen. Even if the herb garden were absent, the area would still be a peaceful reprieve from the hectic city life. 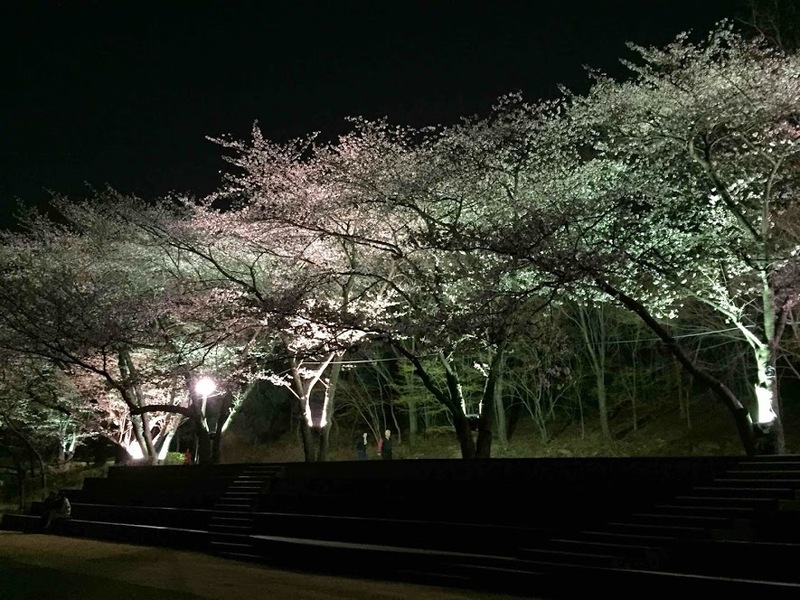 It is in this area that the cherry blossoms come alive every April and form a white and pink wonderland. The trees are plentiful, and the people are usually few. There is no jockeying with other photographers for that perfect spot here. All the spots are perfect, and all the spots are available. 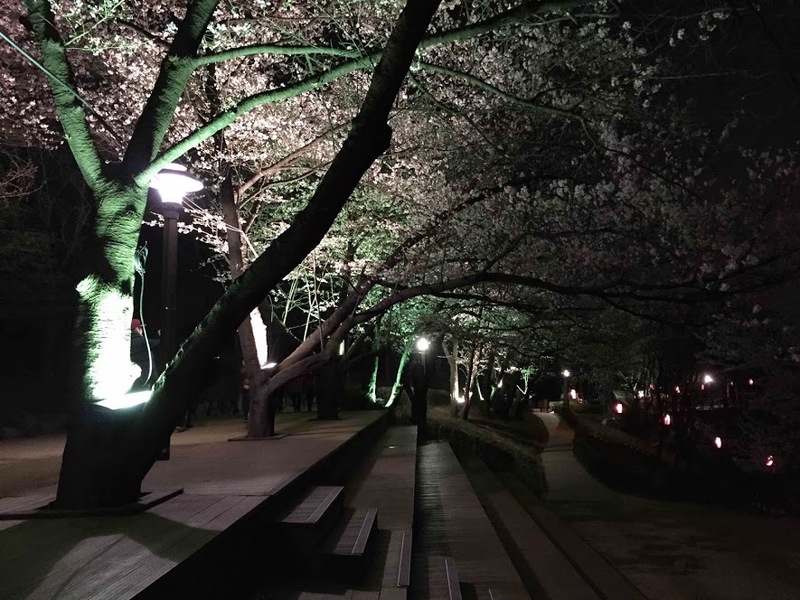 While the lack of crowds and the abundance of cherry blossoms is enough to make this one of the best places to see cherry blossoms in Seoul, it is the night time view that really sets it apart. Once the sun goes down, the lights go up. Literally. 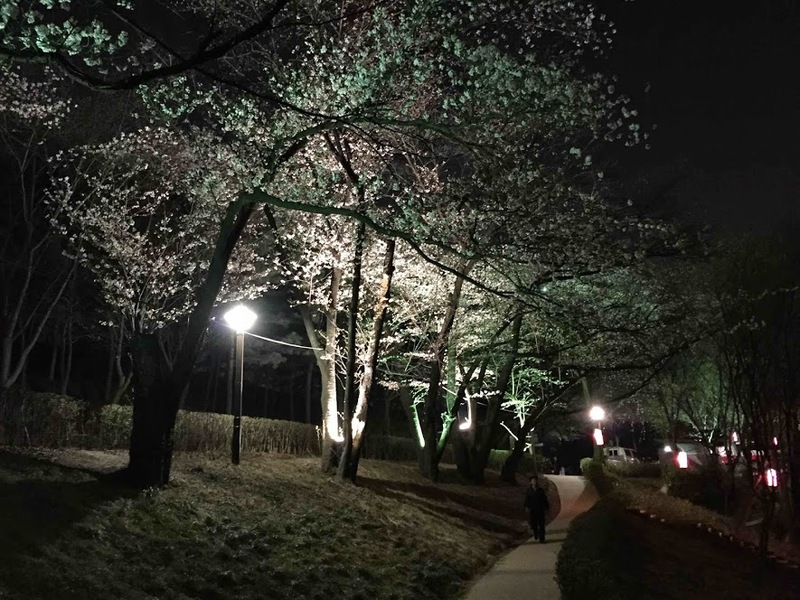 As you can see in the pictures above, well-positioned floodlights do a marvelous job of illuminating the cherry blossoms from below. 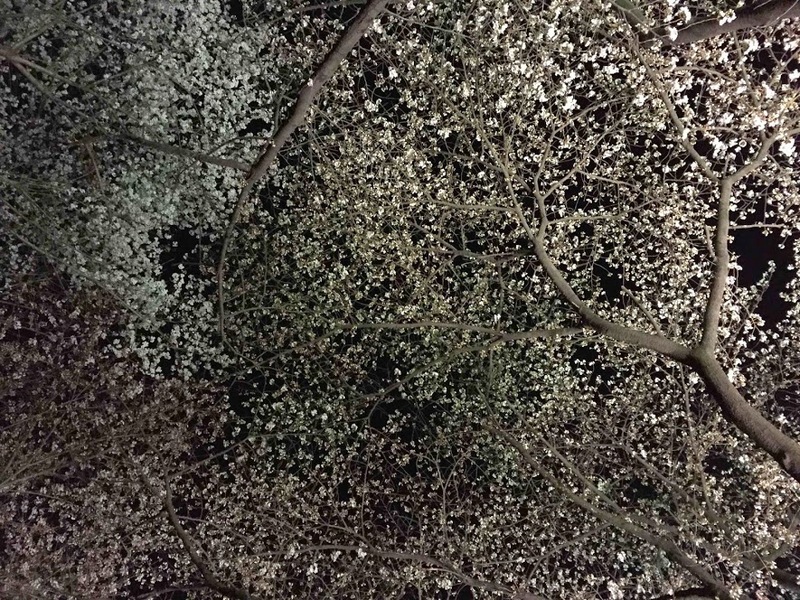 The glowing white cherry blossoms set against the dark sky is nothing short of breathtaking. When all is said and done at the end of the day, or night, there really is no comparison. 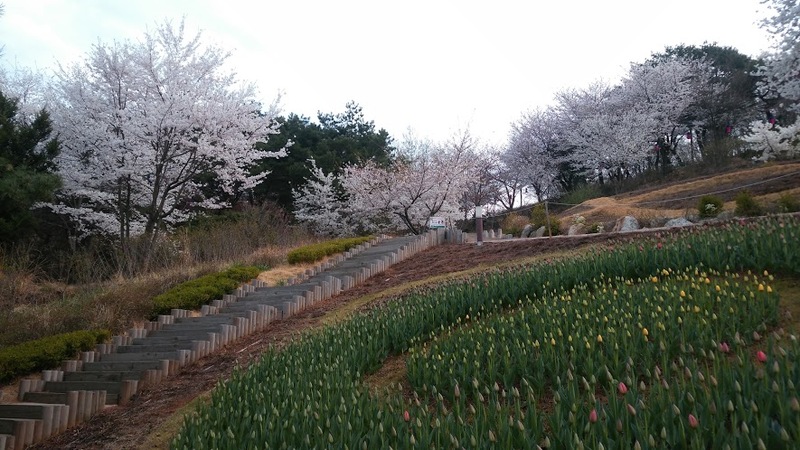 If you want to see cherry blossoms, visit Ansan. As is typical with nature, there is no way to adequately describe the scene with words. Even the pictures seen here do not do justice. It must be seen in person.